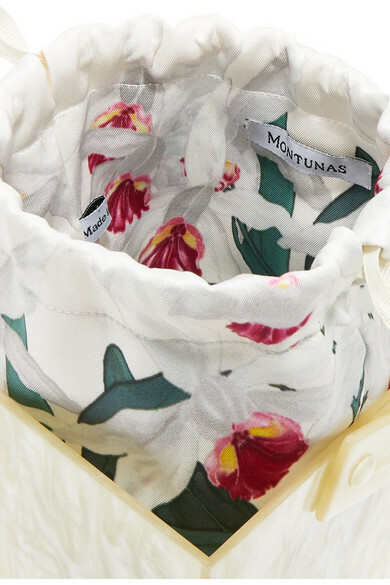 Montunas' 'Stelis' tote is designed to be equally practical and elegant, so it'll work for all kinds of outfits. 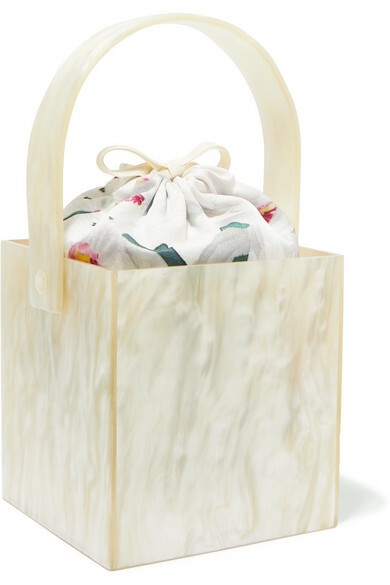 Taking its shape from hanging planters at the label's own orchid house, this bag is made from marbled acrylic and has a structured top handle. 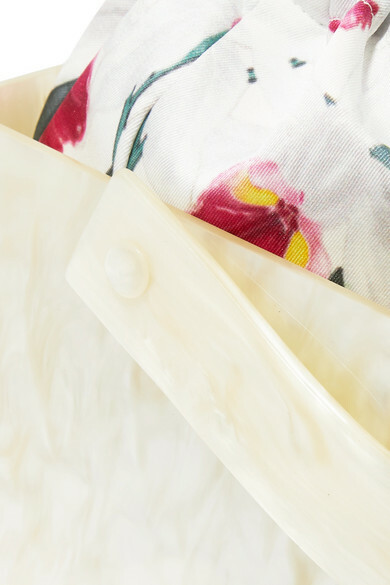 The floral-print silk-satin pouch can be detached completely if you wish. 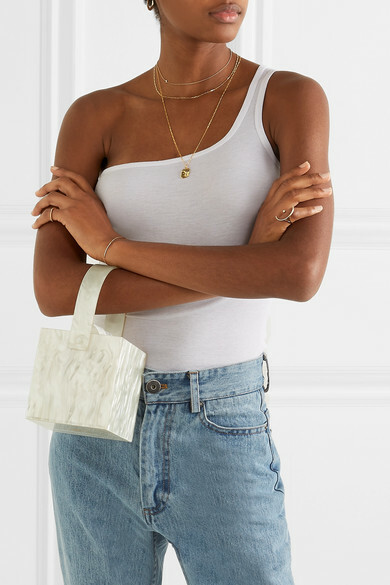 Shown here with: Matthew Adams Dolan Jeans, The Line By K Top, Maria Black Necklace, Loren Stewart Earrings, STONE AND STRAND Necklace, SARAH & SEBASTIAN Necklace, Hirotaka Ear cuff, Catbird Bracelet, Hirotaka Ring.